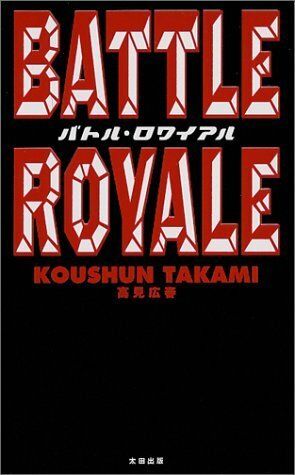 Originally completed in 1996, it was not published until 1999.Koushun Takami completed Battle Royale when he stopped working as a journalist in 1996. The story was rejected in the final round of the 1997 Japan Grand Prix Horror Novel competition, due to its controversial content. It was first published in April 1999 by Ohta Publishing. In August 2002, it was released in a revised, two-part pocket edition by Gentosha. 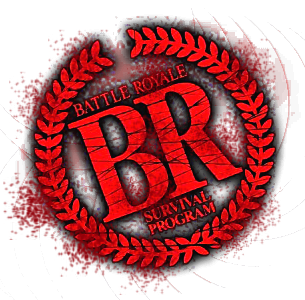 Battle Royale takes place in a fictional police state version of Japan known as the Republic of Greater East Asia (大東亜共和国 Dai Tōa Kyōwakoku). From time to time, fifty randomly selected classes of secondary school students are forced to take arms against one another until only one student in each class remains. The program was created, supposedly, as a form of military research, with the outcome of each battle publicized on local television. A character discovers that the program is not an experiment at all, but a means of terrorizing the population. In theory, after seeing such atrocities, the people will become paranoid and divided, preventing another rebellion. Under the guise of a "study trip", a group of students from Shiroiwa Junior High School (城岩中学校 Shiroiwa Chūgakkō), a junior high school operated by the fictional Kagawa Prefecture town of Shiroiwa, are corralled onto a bus and gassed, only to awaken in a school on an isolated, vacated island, wearing metal collars around their necks. After being briefed about the program, the students are issued survival packs and a random weapon or a tool, and sent out onto the island one by one.